Join Sue Langley (CEO, Langley Group) and Tom Sangster (Business Effectiveness Manager ANZ, Zoetis) to learn how emotional intelligence (EI) can build a resilient workforce, drive business performance and generate exceptional and sustainable results. The World Economic Forum report into the Future of Jobs places EI in the top ten skills required in the workplace in 2020. Two decades of scientific and business research shows the value of EI for leaders, salespeople and anyone whose job involves influencing and engaging people. This foundational skill underpins our capacity to work well with others, manage stress and make effective decisions, and we can practice and improve our emotional intelligence ability. EI, more than knowledge, technical skills or traditional measures, has been shown to determine individual performance and business outcomes. By understanding the science behind emotional intelligence and how to accurately assess, predict and develop emotional intelligence, businesses can take a far more targeted approach to people development. This two-hour breakfast workshop will unpack Langley Group and Zoetis’ partnership and innovative approach to building emotionally intelligent leaders. This is a unique learning opportunity and a chance to network with other business professionals who have a keen interest in improving their own performance and the performance of their organisation. Ticket includes: hot breakfast and an opportunity to enter the prize draw to win an EI Assessment and Debrief (valued at $638) and other EI learning tools. Please arrive from 7:00 am for a 7:30 am start, with networking from 9:00 – 9:30 am. Book now and we look forward to chatting with you at the event. 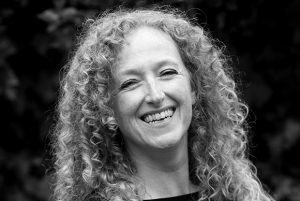 Sue Langley is a master trainer, speaker and leading advisor on the practical applications of emotional intelligence, positive psychology and neuroscience. She is the only licensed master trainer in Strength Profiler, qualified by tool author, Capp, to certify practitioners across Asia-Pacific. She has a Master in Neuroscience of Leadership, BA in Psychology and has studied positive psychology at Harvard. She is also a master trainer in the leading emotional intelligence tools, MSCEIT, EQ-i 2.0 and Genos EI, and i4 Neuroleader, a new brain-based leadership assessment. Tom is an experienced Learning and Development Specialist, who has been in the L&D space in the pharmaceutical industry for over 17 years. He holds a bachelors in Education and Health Science and is an Accredited trainer of DISC, Situational Leadership and TIPS coaching. His key responsibility is looking after management training within Zoetis, and Tom and Sue have been partners for seven years, with Langley Group running the emotional intelligence component of the Zoetis Leadership Development Programme.